The Dapper Bun: Outfit Of The Day: Auf Wiedersehen Helen! Outfit Of The Day: Auf Wiedersehen Helen! 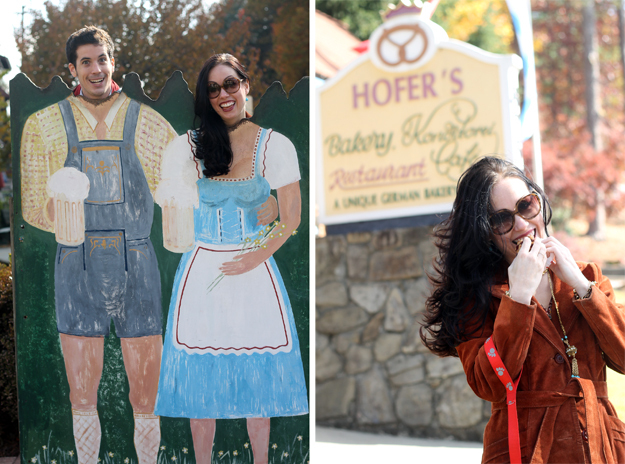 This post wraps up my visit to the touristy Bavarian-theme mountain town of Helen, GA. I definitely had a fun time walking around the town and visting a local waterfall. I hope you had a nice weekend! I love how your socks are peeking out of your boots. It's a super cozy, chic look. Very cute look! 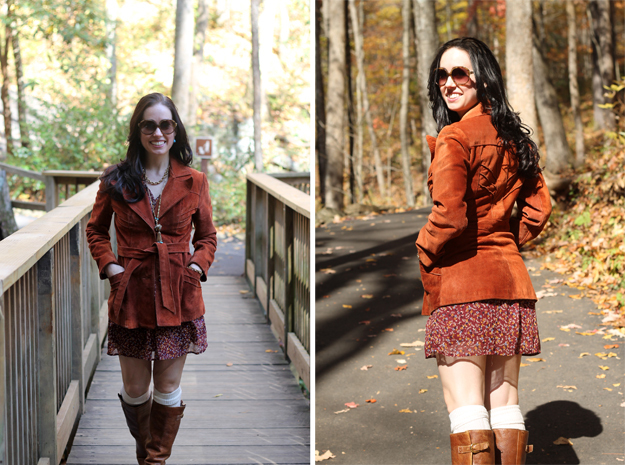 The color of your jacket is pretty and perfect for fall. I love the boots too! I love the color of the jacket. The socks and the boots are too cute and ummm hello who is the darling guy you are taking a pix with in the first photo??? this is a perfect autumn outfit! for somereason my knees don't get too cold in the winter time and i love wearing bundled up outfits like these and still show a little skin.